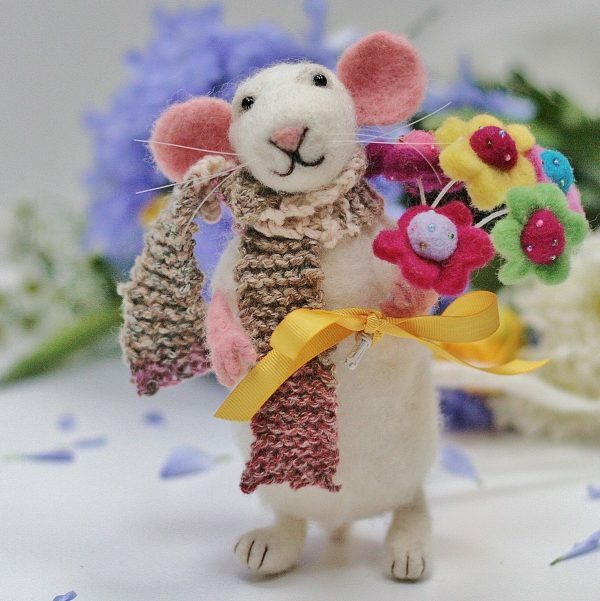 This delightful needle felted mouse is holding a large bouquet of hand made, felt flowers; perfect for the new season. 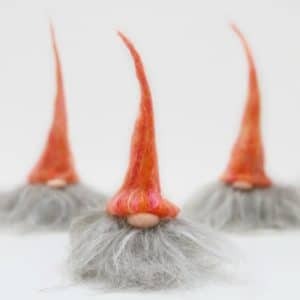 A completely original piece that cannot fail to brighten your day and home. Standing approx 7″ (18.5cm) x 3.5″ (9cm) will draw the eye to wherever it is displayed. 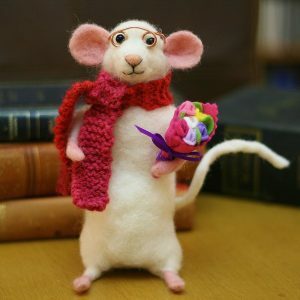 A will make a beautiful gift or for Mother’s Day, Valentine’s or yourself; because your’e worth it. In his arm he holds a large bouquet of felted and beaded flowers on wire stems; the bouquet is not fixed so flower arrangement can be altered. He has fully poseable arms made around a wire frame. Delivery is via Royal Mail, tracked and signed 48. Carefully designed and created at my my Lincolnshire home studio. 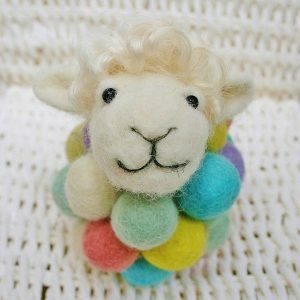 If you would like to try this great craft for yourself please see my range of award winning needle felting kits. Choose from 19 animals. This item is a collectable and not a toy.